A bitcoin start-up has launched a service that will allow people to carry out foreign exchange transactions for free, dodging the expensive commission often charged by major financial institutions. Bitreserve, a company founded last year by CNET and salesforce.com co-founder Halsey Minor, allows people to convert bitcoin into normal currencies and precious metals. The start-up used to charge a 0.45 percent commission for bitcoin-to-dollar transactions, but has now cut its fees entirely. The move is likely to give it an edge in the hotly contested “fintech” market where a number of companies such as U.K.-based Transferwise are contesting the currency transfer and mobile payments space. Users of the platform will be able to make currency exchanges in eight major currencies: euros, dollars, pounds, yuan, yen, pesos, rupees, swiss francs. People will also have the ability to convert the currencies into gold, silver, platinum and palladium, depending on the market price. Bitreserve offers the mid-market rate for currencies. 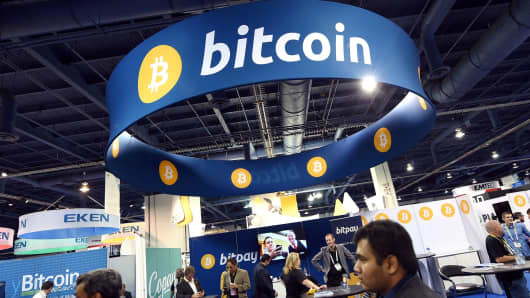 “Those in society who can least afford it have to spend so much for things that are so commonplace,” Anthony Watson, president and chief operating officer of Bitreserve, told CNBC by phone. Bitreserve’s service comes with a catch however – you have to own bitcoin to use the service in order to make an initial deposit and then convert it to another asset. Plus, when users receive money, they can only spend it in bitcoin. This could put it at a disadvantage to other companies that allow people to sign up with bank accounts and send money for still a small commission.